Masters Of The Universe Classics: Vintage Trade Article: "She-Ra... Where Do You Put Her?" "She-Ra... Where Do You Put Her?" This one should be a pretty fun read for POP fans, focusing on an issue I'd never really thought about. 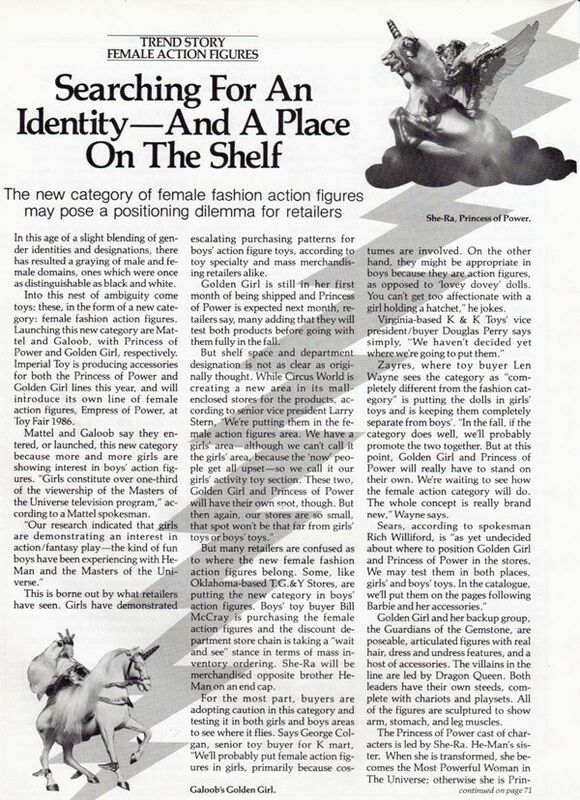 Check out this article from the March 1985 issue of "Toys Hobbies & Crafts" on an interesting issue facing retailers back in the 1980's; Where exactly do you place the "Princess of Power" line in your store?